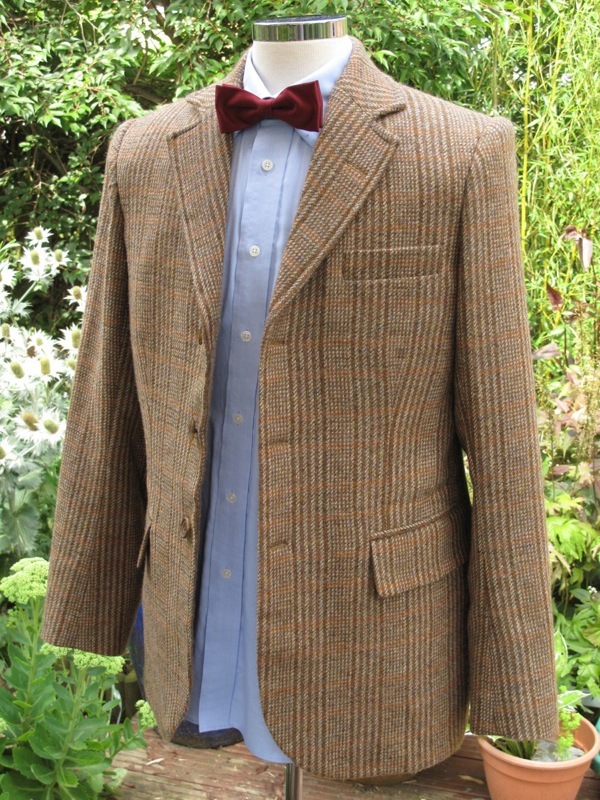 From time to time I get asked if I can make a coat or tweed jacket for girls as well as guys. It’s not something I often do, but it’s not unknown. 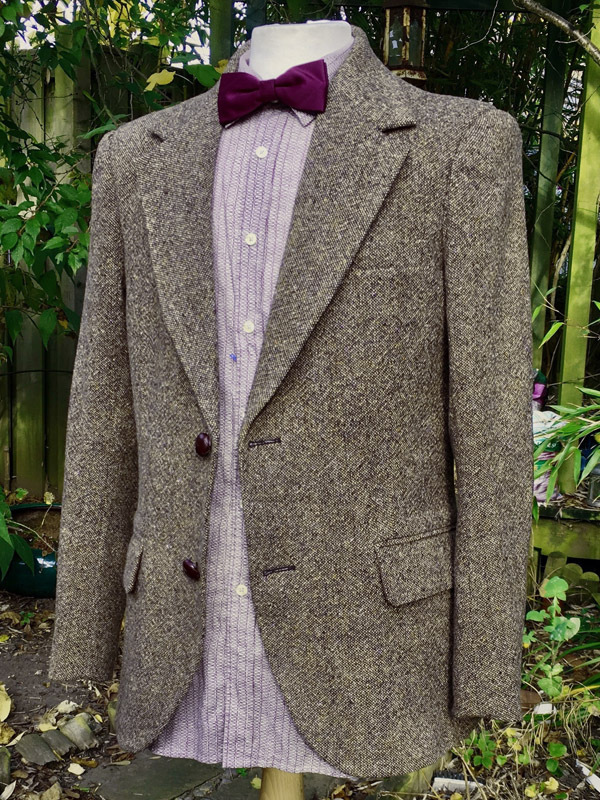 Well a photo has reached me this weekend of one of my tweed jackets being modelled by a very special young lady. 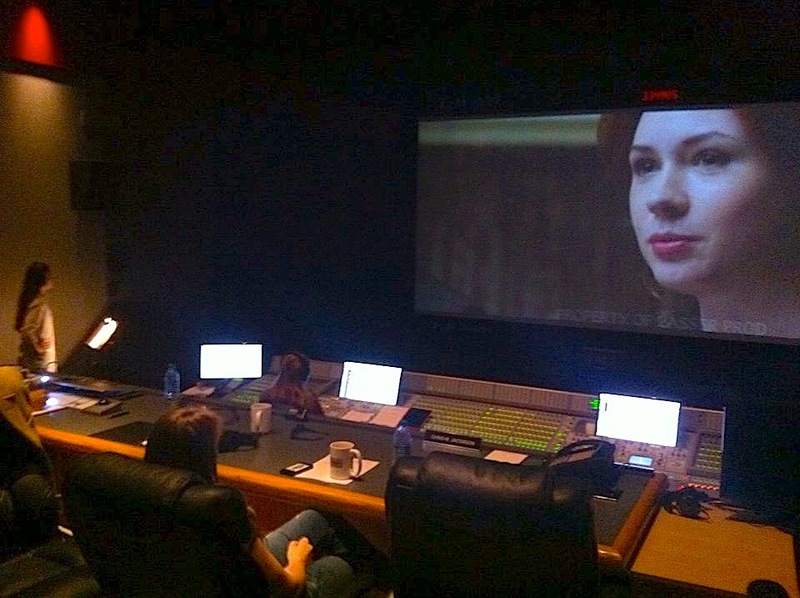 None other than THE Karen Gillan! Karen is currently in America completing post-production dubbing on a new horror film called Oculus. 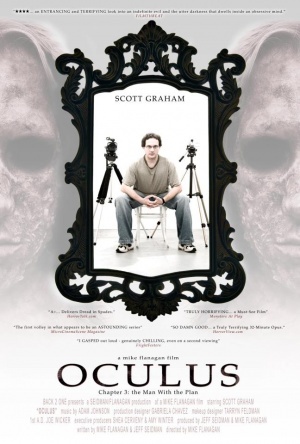 Written and directed by Mike Flanagan, it is a full length feature film expanded from a previous award winning short film. Without giving too much away, the film is about a woman trying to exonerate her brother, who was convicted of murder, by proving that the crime was committed by a supernatural phenomenon. 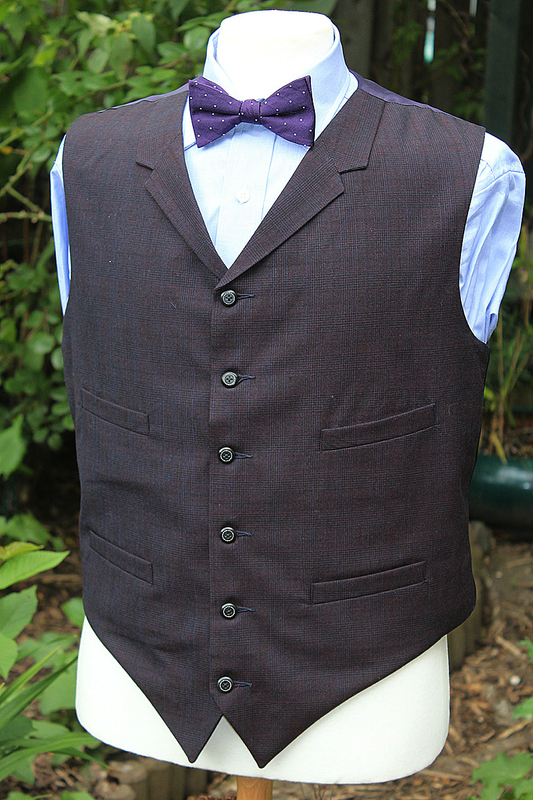 I had made a tweed jacket for Mike a couple of years ago, so I was surprised to hear Karen attached to a project directed by one of my clients. He suggested getting Karen to pose in the jacket at some point, and true to his word he finally snapped her in a break between dubs. It looks like Karen’s been enjoying her time in the US, and I’m looking foreword to seeing the film when it’s released next year. I’m often asked where to get the bow ties Matt Smith wears as The Doctor. When he started in the role a lot of his costume was shop sourced, such as the All Saints boots; TopMan jeans; Paul Smith shirt. 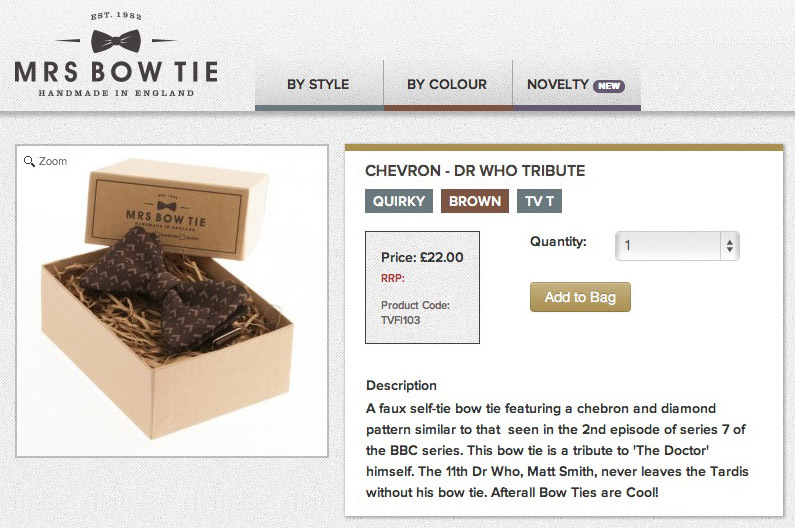 However, the bow ties were always hand-made and unique, so I’m afraid you can’t find the exact ones in any shops or online. That said, the early bow ties were just burgundy or navy silk, so fairly easy to find a next-best. 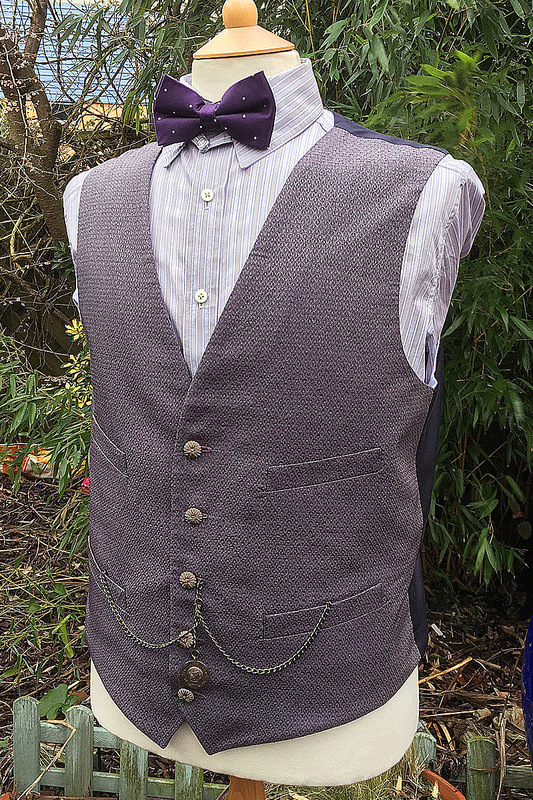 All that changed with series seven, where we now have a series of patterned fabric bow ties, all of which are quite distinctive so not as easy for the casual cosplayer to match. So where can you find a next-best version? 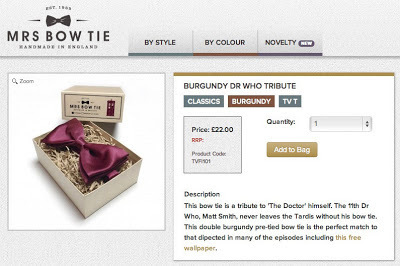 Well one of my readers has put me onto a website called mrsbowtie.com, who seems to have the answer! They make a range of novelty bow ties and include a number of Matt Smith styled options. I’m giong to get a set on order and report back with what I think of them, so check back soon. 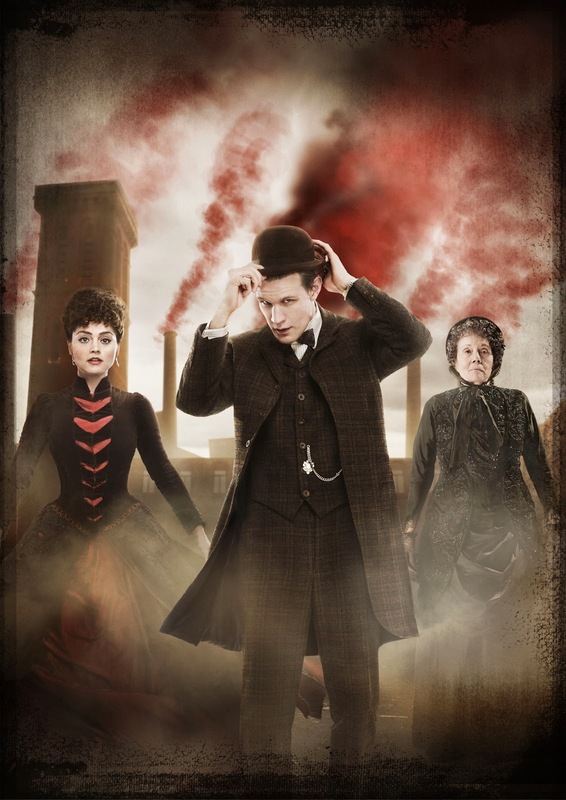 This week’s episode, The Crimson Horror doesn’t seem to have any separate costume portraits of The Doctor, although there is a composite publicity still that seems to use one. If we had this image on its own we’d have a great source of detail for the costume. 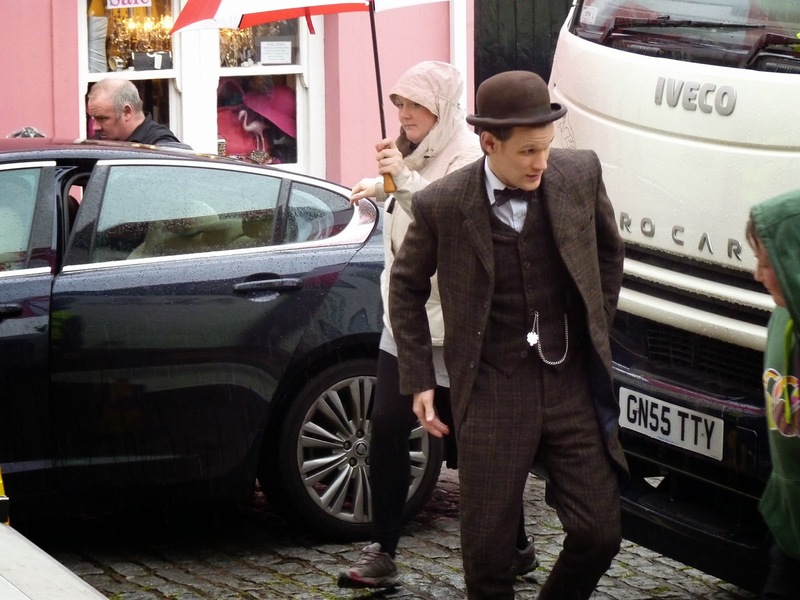 The costume mainly consists of a three-piece set comprising a slightly shortened frock coat, waistcoat and trousers. 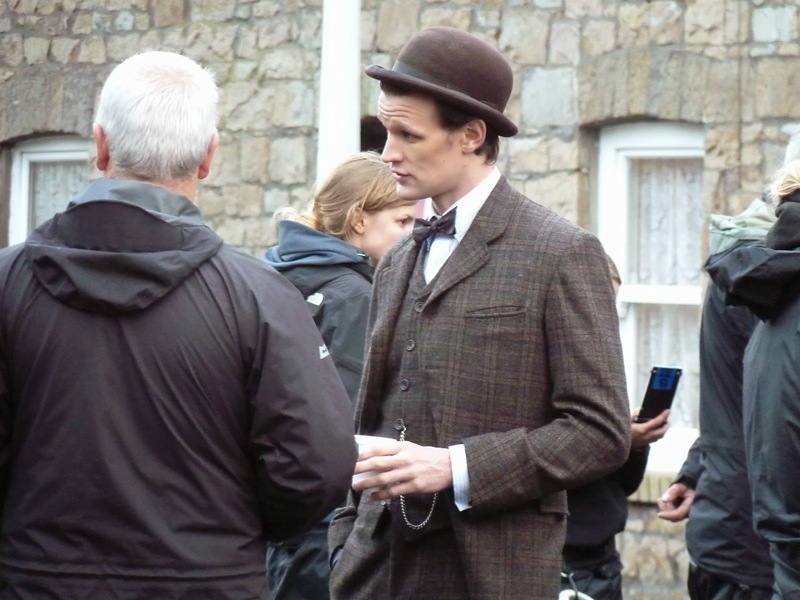 He wears the brown brogue boots first worn in The Snowmen over Christmas. 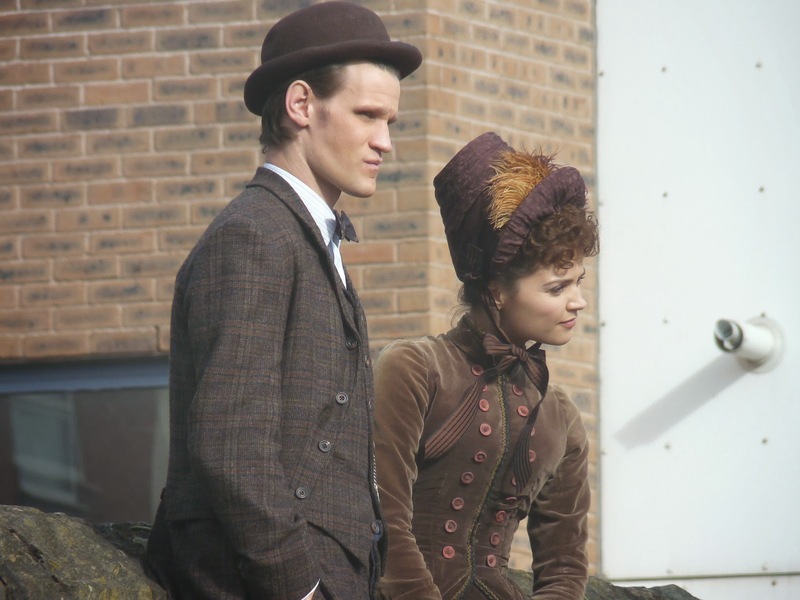 As a substitute I thought I’d take a look back over some on-set pictures taken during filming, which show the costume off quite well. 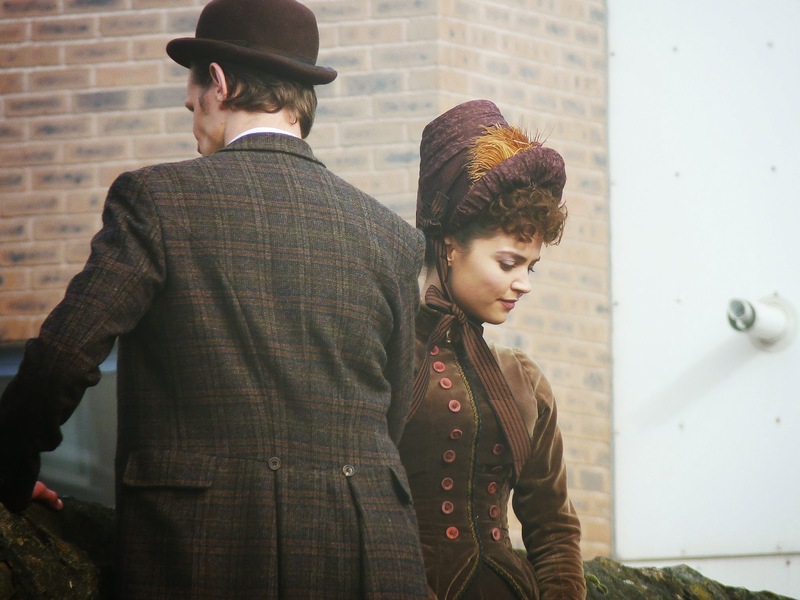 This shot has a nice view of the back, showing the jacket to be in a frock coat style, heavily adapted.